Limited to inventory on hand give us a call! 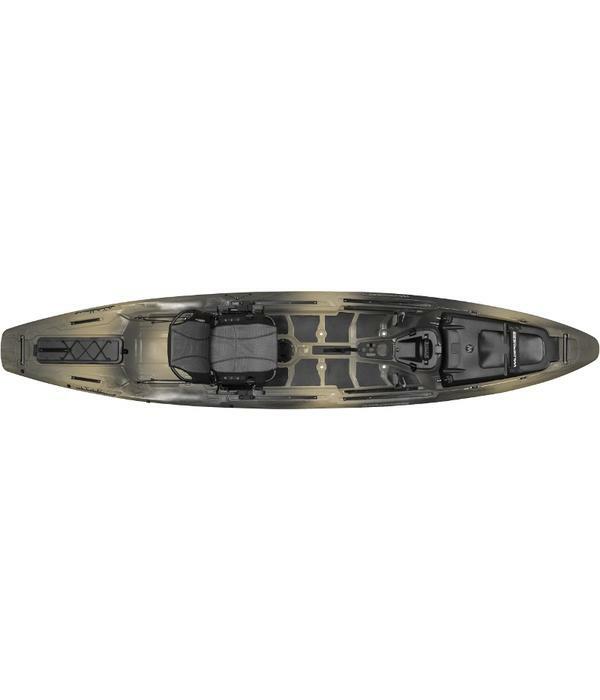 The new Wilderness Systems ATAK – Advanced Tactical Angling Kayak – is fully equipped and in position to take the kayak angling world by storm. Featuring an open design that can be customized to meet the demands of any angler and environment. The deck is highly walkable and stable, yet remains nimble and stealth. The low-profile, wind-shedding hull will keep you on the water longer, and endless storage opportunities are intelligently located throughout. 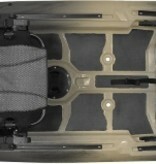 The AirPro MAX seat shows up in a big way, now with extended travel along much of the length of the craft. Top it off with the FlexPod OS electronics console and the fish don’t stand a chance. 2017 MODELS HAVE CHANGES TO THE AIR PRO MAX SEAT. Tracks for gear all along the hull have become a Wilderness staple. Flattened out deck with a non-skid padding and slight hull modifications makes standing to fish a breeze. Wide flat standing area that allows the ability to travel up and down the deck. Optional rudder for the A.T.A.K. costs $249. Note - Does not include fishfinder, battery, or transducer! The power of Wilderness Systems is on full display with the introduction of the new Helix MD Motor Drive. Taking you farther, faster with the proven technology of Torqeedo, the Helix MD is redefining the world of kayak propulsion technology. High performance lithium battery that is waterproof and floats.